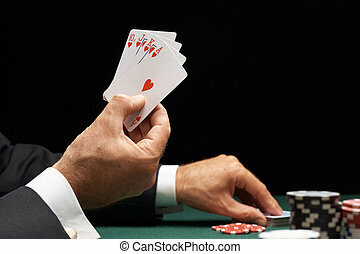 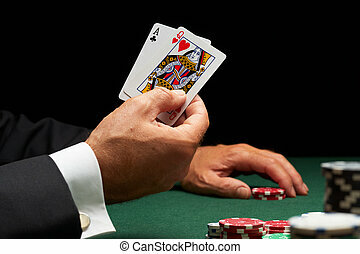 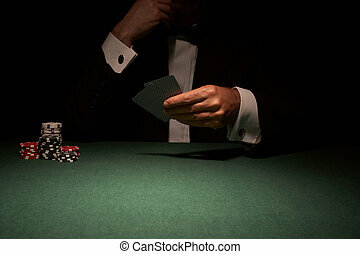 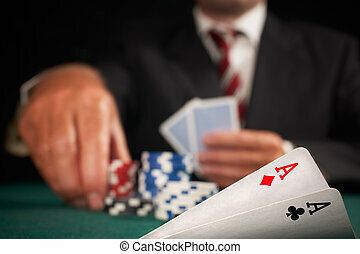 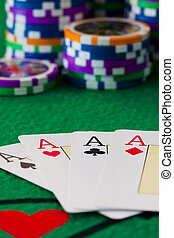 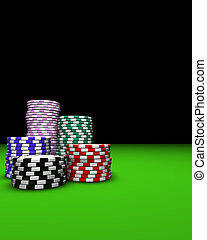 Card player gambling casino chips on green felt background selective focus. 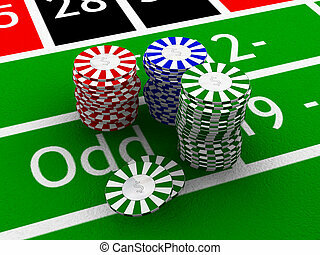 Colored casino chips on green table. 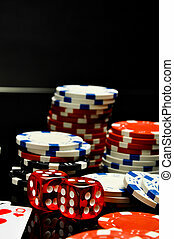 Great background for magazines, banners, webpages, flyers, etc. 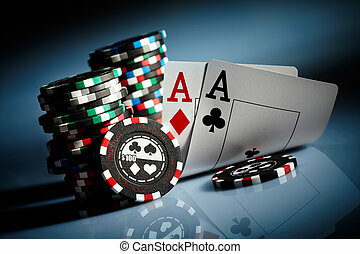 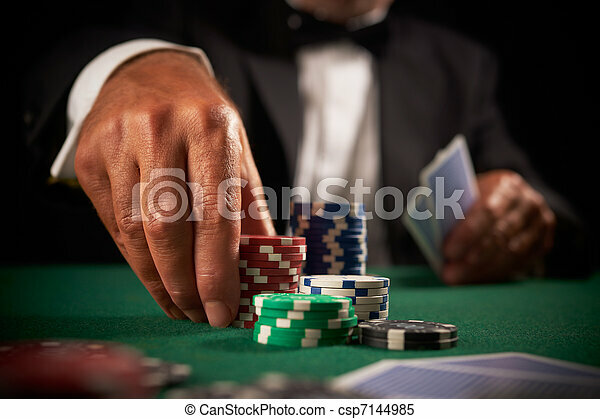 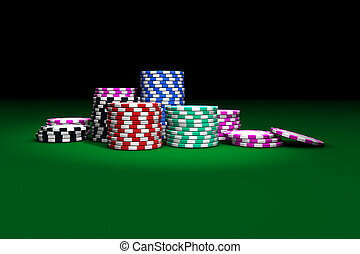 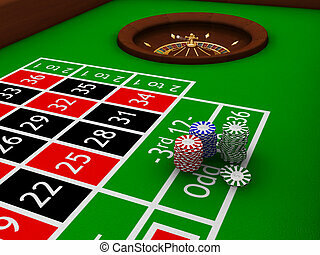 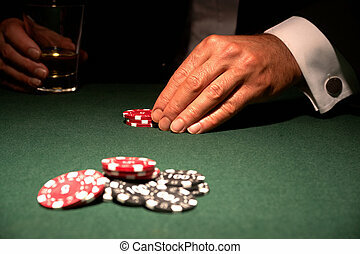 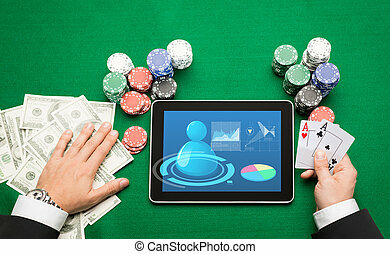 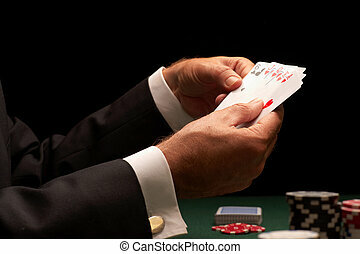 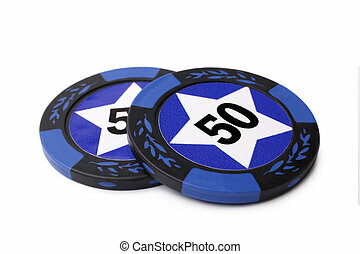 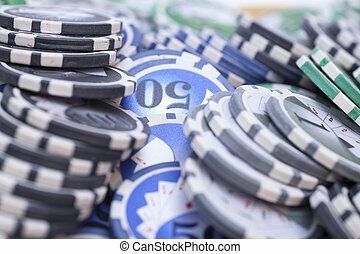 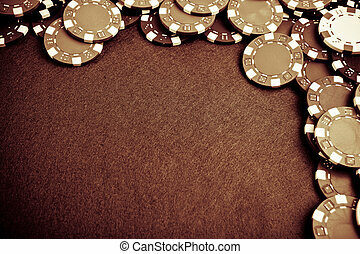 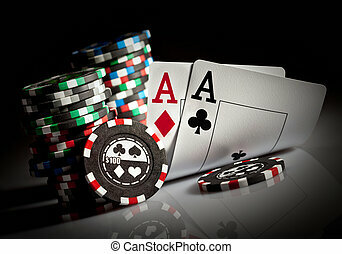 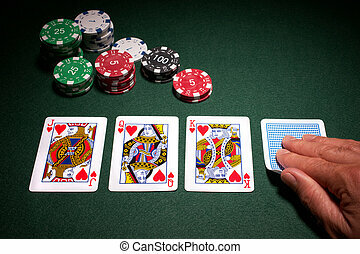 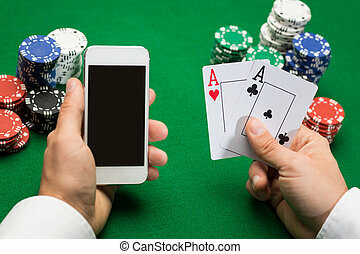 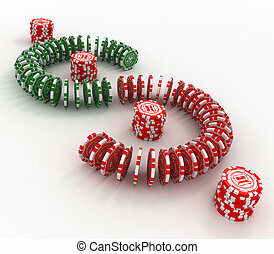 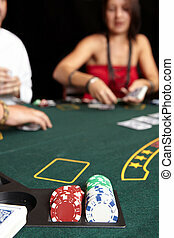 Casino chips - gambling concept .